Definition of lateral corticospinal tract. 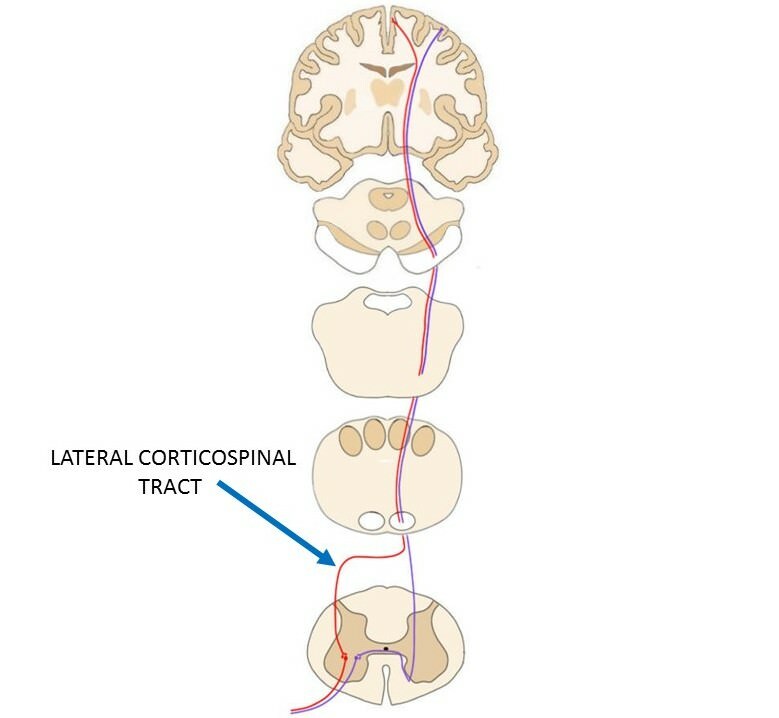 the lateral corticospinal tract is represented by the red line that runs from the motor cortex down to the spinal cord. the main component of the corticospinal tract, the lateral corticospinal tract contains about 90% of the fibers that travel in the corticospinal tract. Fibers that travel in the lateral corticospinal tract decussate in the pyramidal decussation and continue down to the spinal cord on the contralateral side of the brainstem from where they originated. The lateral corticospinal tract is involved in controlling distal muscles, like those of the limbs.